Baby Birds Hatch at the Aquarium of the Pacific!! The Aquarium of the Pacific has two new baby Stilts! 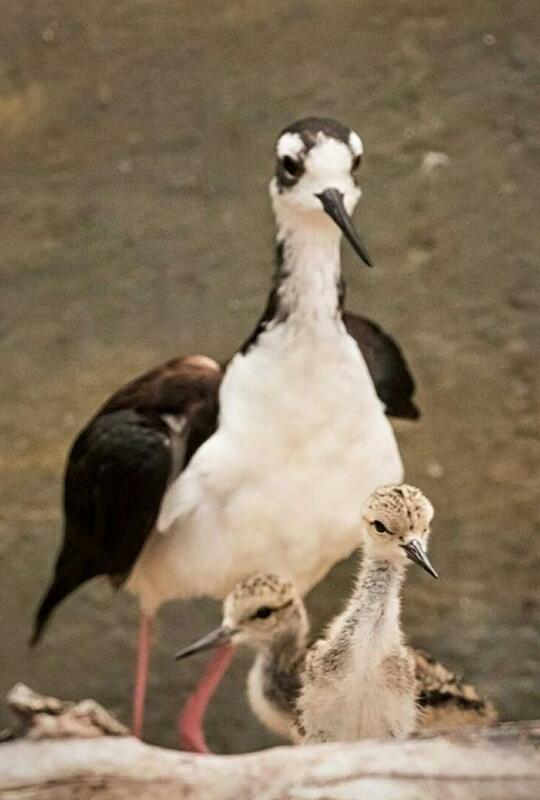 Two baby Black-Necked Stilts hatched in late June in the Aquarium’s Shorebird Sanctuary exhibit. Gigi, their mother, has lived in this exhibit since it opened in 2002, but this year was the first that she laid eggs and hatched chicks. The two babies are on public view in the exhibit with their mother and father, George, who arrived to the Aquarium in 2015. Black-Necked Stilt (Himantopus mexicanus) females lay dark-spotted, buff-colored eggs that are about 1.7 inches long. Both parents incubate the eggs for twenty-two to twenty-six days and then care for the chicks. The chicks’ eyes are open at birth, and they leave the nest about two hours after hatching. Their down is light brownish-gray with black spots. When adults give alarm calls, the chicks scatter and lay flat on the ground, their camouflage coloring blending in well with their surroundings. Chicks fledge in about twenty-eight to thirty-two days. Until they fledge, the chicks are at a delicate stage and may not always survive. 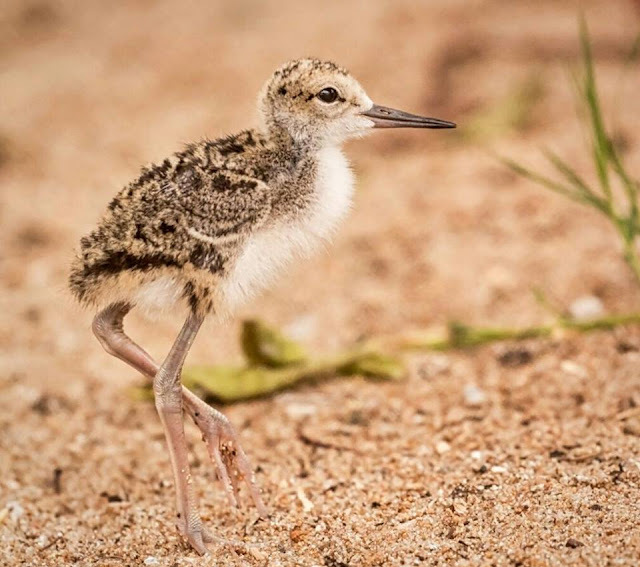 Black-Necked Stilts can be found in and around shallow brackish and freshwater estuaries and marshes, marginal wetland areas, shallow lake shores, coastal bays, prairie ponds, and flooded fields. They are usually migratory birds, but there are some resident populations in coastal Southern California and western Mexico. You can see these cuties at the Aquarium of the Pacific now! !